Information, FAQ, research, and advocacy information related to occupational therapy. Information, FAQ, research, and advocacy information related to speech language pathology. The website for Aspire, an agency that provides in-home and clinic based applied behavior analysis services for children in the Austin area. The website for the Austin area branch of the Autism Society of America, an organization that supports advocacy, public awareness, education, and research related to Autism. 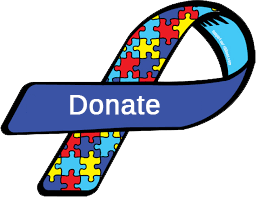 A branch of Autism Speaks.org that coordinates efforts to support of federal and state legislative initiatives including insurance reform related to coverage for services recommended for children with autism. The website for Bluebonnet Trails Community Services, an agency that provides a variety of services for individuals with mental health diagnoses or developmental disabilities in Williamson County. The website for Building BLOCS, an agency that provides early-intervention programs, social skills programs, applied behavior analysis, and speech therapy services to children in the Austin area. The website for Capitol Area Speech, an agency that provides speech and occupational therapy services for children and adults in the Austin area. Autism and cerebral palsy (CP) often co-occur. An estimated seven percent of children with CP will also be diagnosed with an autism spectrum disorder. Find out how these co-existing conditions are diagnosed and treated via Cerebral Palsy Guide. Advocates that assist families with a variety of civil rights issues surrounding disabilities, including education, employment, and community living in Texas. The central Texas division for the Easter Seals, an organization that provides early intervention services, as well as transition, employment, housing, and community services. The website for Austin Travis County Integral Care, an agency that provides a variety of services for individuals with mental health diagnoses or developmental disabilities in Travis County. An online resource directory for services in the Austin area. The Texas site for the ARC, an organization that advocates nationally for the rights and inclusion of individuals with intellectual and developmental disabilities. An organization that provides support, advocacy, and resources for parents of children with special needs across Texas. Sibshops provides young brothers and sisters peer support and information in a lively, recreational setting. A website devoted to spreading awareness of sleep health and wellness specifically for children and adults with autism to get better sleep.